Working on a new and improved website. Brrrrr, baby it's cold out there! Slogging through a warp for 18 placemats. All the same weft in black. Lovely rich colours in the warp, but not a lot of variety here. 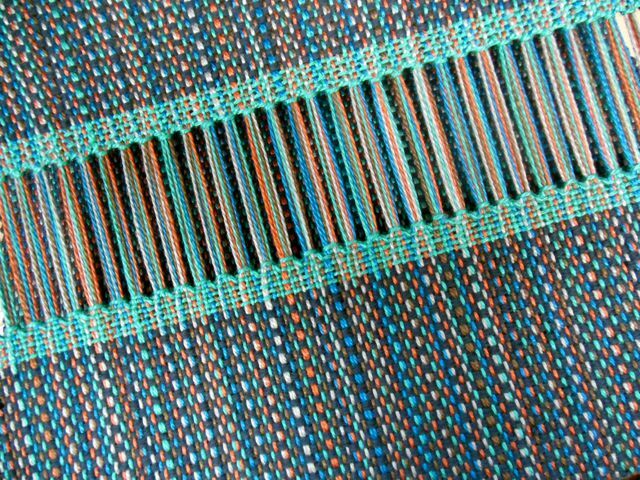 Using dark teal for the ends - mats will be cut apart allowing for fringe. Next up will be napkins in dark teal to go with. 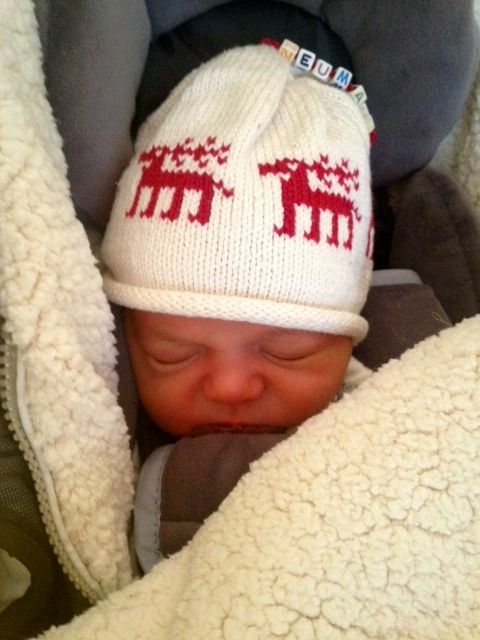 One of our loyal customers shared a picture of a sweet boy wearing our Deer Cap home from the hospital. So sweet.